Tyler Mahle makes his first start of spring training, although its his fifth appearance. Mahle has 9Ks and 2BBs in 9.2 innings of work. 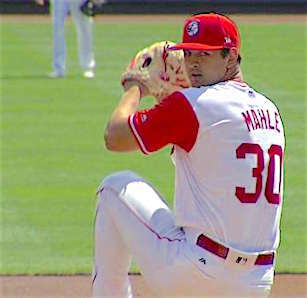 As impressive as Mahle has been, it’s hard to see him making the Opening Day roster due to service time considerations. He accrued 36 days of major league service time in 2017. 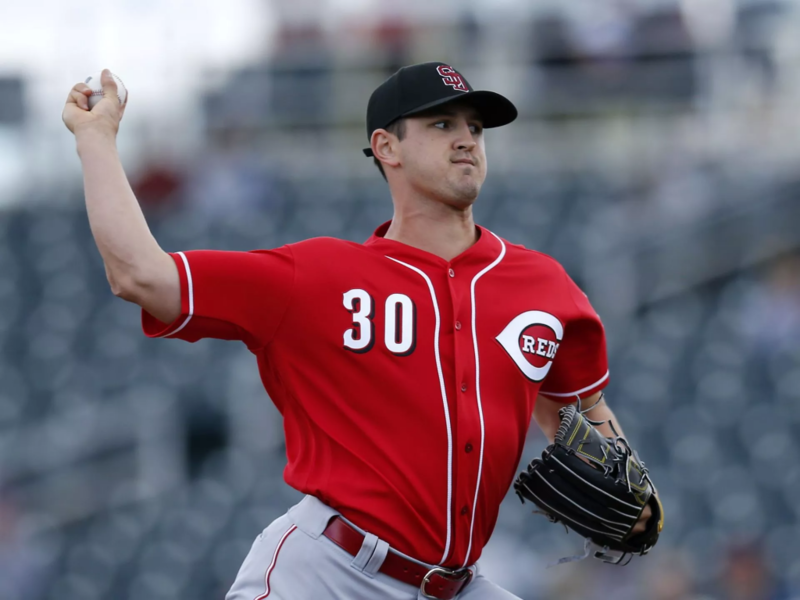 If the Reds want to gain another season of team control, they’ll have to hold him back about 48 days. That’s a May 17 call-up. Other pitchers: Brice Austin, Zack Weiss, Kyle Crockett, Wandy Peralta and Oliver Perez. The last three are lefties competing for bullpen slots. Lineup Notes Scooter Gennett was a late scratch from the lineup with a “sore right shoulder.” Sebastian Elizalde is an interesting choice for the DH plate appearances. Cliff Pennington playing for Jose Peraza. 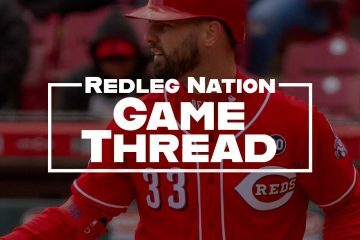 Podcast — RNR #198: The Reds have to be luckier this year, right? I know Spring Training records ultimately mean nothing, but I’m sensing a trend. The Reds were terrible in the spring last year, then were terrible in the regular season. They are terrible again this spring. The Astros were barely better than the Reds in spring training 2017. Spring training records mean nothing. that is also why I want to see Mahle and Garrett start games against starters of the teams we play. Pennington has really good career metrics as a SS and even the last couple years. Maybe he can teach Peraza and Senzel a few things. Looks like he is bound to be on the roster. I agree he should be on the roster but your giving the red’s management too much credit. Mike Clevinger was the schedule starter for Cleveland but got scratched. Evan Marshall is going instead. He is RH also. He has mostly been a reliever and not that good of one. The Reds can get some early runs today. It would be nice if they give Mahle a 1st inning lead to work with. Cleveland looks like their lineup is mostly starters, at least all around the INF, so this will be a big test for Mahle. Going up against an AL pennant contender’s lineup will be challenging. A good barometer for Mahle. Lindor, Kipnis, Ramirez, Encarnacion, Alonso, Gomes. Then probably are 3 back up outfielders, Davis, Upton Jr., and Refsynder. Should be an interesting spring training game. Is there anyway I can listen to this game without having to subscribe to MLB TV? From the Cleveland side, it shows that WMMS radio is carrying the game. Maybe they are streaming on their website if out of range. The Indians fan blog has a button to click on to “Watch” live. Scroll down some and it is on the right. But you have to have Firefox or Chrome on your browser. That link to the sports daily may be for another sign up service. So it might not help at all. Thank you for trying. Apparently some people think the NCAA basketball thingy. is more important then a Reds spring training game. Reds have given Mahle a big early lead, up 5-0. I am eating some crow for dinner as Schebler is having a big day. I read on here that Mahle hadn’t faced big league hitters, but Cleveland had their guys in there today and he mowed them down. He’s their 2nd best pitcher. It would be nice if they just bit the bullet on service time and actually fielded their best Opening day roster. I’ve seen several comparisons to Mike Leake but he has better stuff then that. I know minor league radar guns are flaky but he supposedly hit 99 on the last pitch of his perfect game at AA last year. He could be really good! While I somewhat understand that sentiment, Indy, unless he can pitch every other day, the few extra starts he would probably make aren’t going to make enough difference on the club’s record this year to justify bringing him up now. Just bite the bullet and bring him up in May. What they really need is a couple more starters like Mahle. Until then, brace yourself. Indy, I have seen all the Reds minor league pitchers at Pensacola over the last few years. Mahle is light years ahead of any of the others. He has control. He will be a great pitcher for the Reds for several years. Maybe all of the losing has jaded me, but Indy, I’m with you, especially on pitching. Of course, I want Garrett back in the rotation, and what about Romano? Unless Finnegan is going to be out longer than I heard initially, there are only two spots open, right? (Homer, Castillo, Finnegan?) … Why not let Mahle start in the rotation, and when (if) Disco ever returns, send Mahle down. …. If they’re determined to waste Garrett in the bullpen because he’s a lefty, that’s all the more reason to stick with Mahle. 5 starts on a mediocre team this year or 30- plus on a team with championship aspirations down the road? I share your frustrations and I think the service time game is one of the worst parts of the collective bargaining agreement (the negotiating players left younger, future players out to dry) but, as a Reds fan, I’ll skip the month now for more later, when it counts. You need Mahle NOW. if u want to screw with his service time, u send Mahle down to the minors when Finnegan or DeSclafani are ready to pitch. Simple operational analysis. And that is starting to look like a really good thing. I want Mahle! I want Mahle! Seriously, I get the whole timing thing and extending his time before arbitration, but it kinda stinks that two very good young players who should be on the ML roster (Senzel and Mahle) will spend a lot of time in AAA this year. David I promise you won’t feel that way after they are In Cincinnati and we will have them for a additional year instead of trading them a year sooner..
It’s simple…the red’s are getting these kids ready to be stars for another team. I am a huge fan of this kid. He reminds me of Leake with his approach, but also like that kid the Cubs have who pitched like an emotionless super being in the WS (Hendricks). Good stuff, simple approach, unflappable, gets outs. DoesnÃ¢â‚¬â„¢t overthrow! The back of his minor league baseball card is pretty impressive too. Mahle pitched 164 innings last year. He should be able to get close to a full season’s worth of innings this year. Start him in AAA, make him the 5th starter when needed. I’m not sure what the magic date is for gaining an extra year, but he could be called up immediately after that if he continues with good results. Interesting lineup for today’s game. No DH listed and Lorenzen is pitching. Looks like he’ll be hitting today too vs. Milwaukee. Hamilton 8, Gosselin 5, Votto 3, Duvall 7, Dixon 4, Winker 9, Peraza 6, Barnhart 2, Lorenzen 1. That is the lineup Sheldon posted. I looked at past Reds lineups this spring vs. NL teams and a DH was listed. So I don’t know if Sheldon will have to revise this, or if Price is wanting to get Lorenzen some AB’s. This might be interesting. Whoa. Wow. Reds sign Eugenio Suarez to 7 year extension, says John Fay. CTrent and Sheldon report the same. I like Dixon….maybe he’ll make the team and platoon with Scooter? I hope so! Blandino only seems to come in vs the scrubs at the end of games…..they want Pennington. Revere will prob make the team too? Did Houston always play a bunch of stopgaps or did they just turn their young guys loose and see what happens? Its not like Blandino is going to necessarily be a starter anyway? Big start for Lorenzen….they’ll need some of these young guys to step up and replace Disco or they’ll get buried early. Lorenzen just needs to keep the ball down and pitch to contact. IÃ¢â‚¬â„¢m just not sold on Lorenzen for 180 innings a year. Ultimately that will sort itself out. They may tab him a starter but heÃ¢â‚¬â„¢ll break down after about 100 innings and weÃ¢â‚¬â„¢ll move him to rehab then relief for good. ThatÃ¢â‚¬â„¢s a forecast, not a wish, by the way. I wish him the absolute best. I’m also not sold on Lorenzen as a starter. He wasn’t that good of a reliever, or hasn’t been since he “changed his mechanics”. There’s still time for him to right the ship, but right now it’s Mahle and Garrett showing the the best stuff while Bob Steve and ML continue to struggle. Winker Duvall, and Peraza all had 2 hits. Just to pick some nits, Winker had 3 hits. Also pitched in with 1 run and 4 RBI’s.